Home > Products > Construction & Real Estate > Pipe Fittings > ANSI GB JIS DIN High Pressure High Temperature Wcb Forged Steel Stainless Steel Power St..
ANSI GB JIS DIN High Pressure High Temperature Wcb Forged Steel Stainless Steel Power St..
1.Design Manufacture According to JB3595. 2.Face to face According to JB3595. 3.Connection end conforms to JB3595 or user's requirements. 4.Valve check and test According to JB3595. 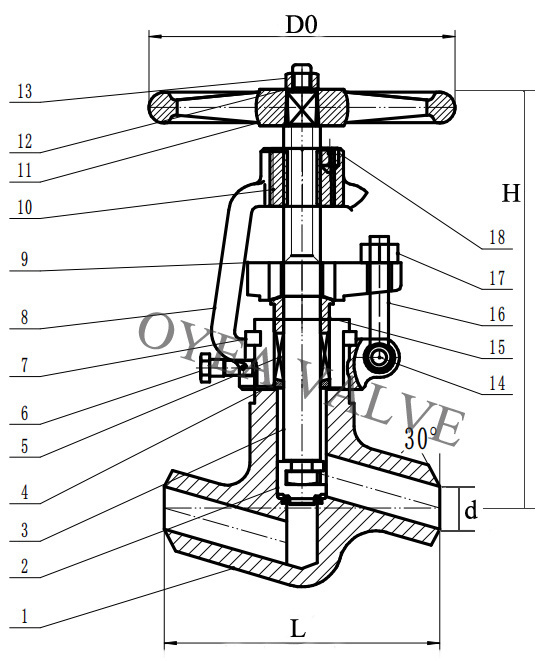 OYEA VALVE, a specialist manufacturer, established since 2008 and professional production of industrial valves over 10 years.